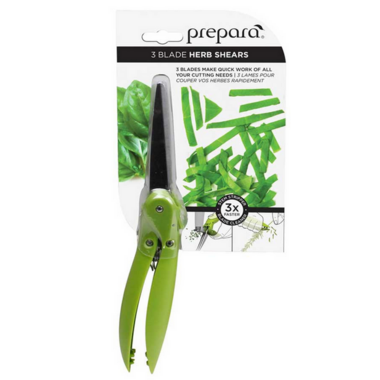 Prepara 3-Blade Herb Shears is the perfect tool for quickly adding fresh flavor to any dish. 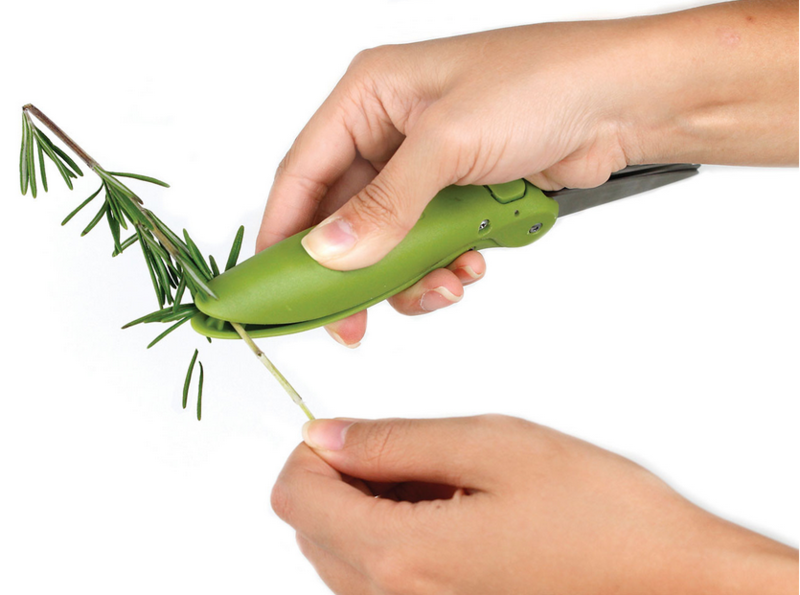 A few quick squeezes of the spring loaded handles will cut and shred herbs quickly and easily. 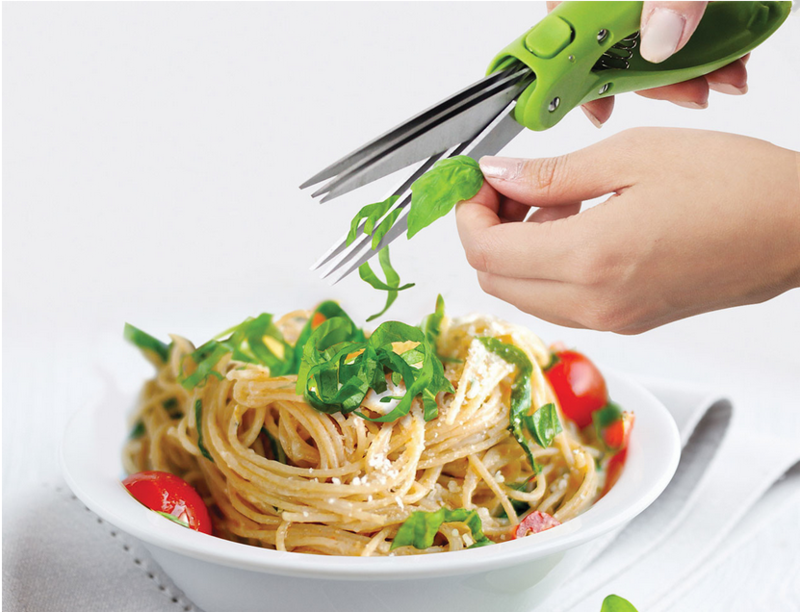 Locks for safe, compact storage. 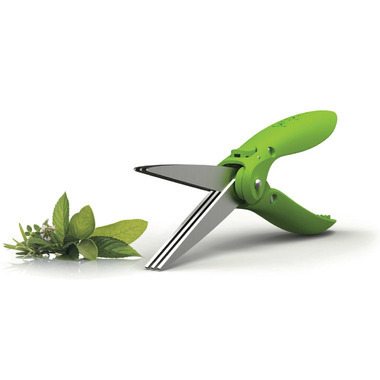 Includes an integrated stem stripper built into handles and a blade cover that doubles as a blade cleaner.